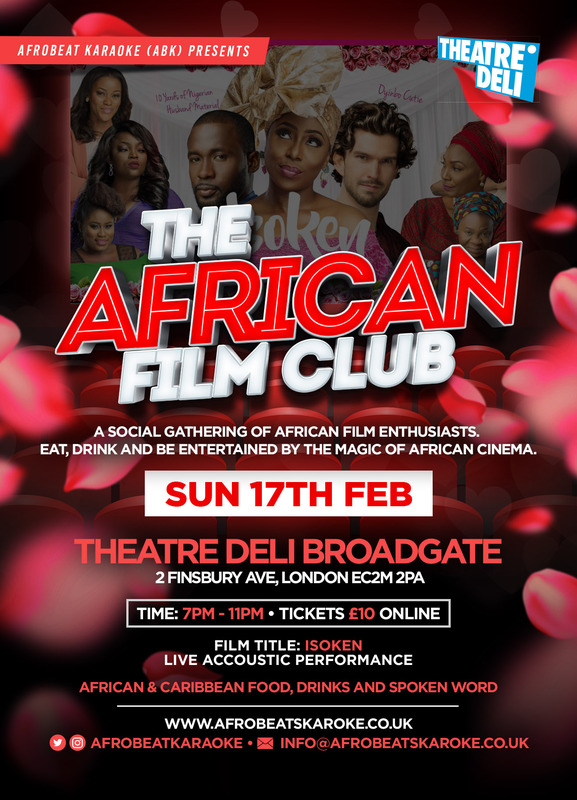 ‘The African Film Club’ A social gathering of African film enthusiast. Come down for an evening of good food, Drink and be entertained by the magic of African cinema. Swap popcorn for some ‘Chin chin’ ‘Plantain crisp’ and many more African nibbles. We are bringing some of the hidden gems of African cinema to a venue near you. Jadesola Osiberu’s – ‘Isoken’ is a romantic dramedy that explores cultural expectations, racial stereotypes and the bonds that unite families in a touching, dramatic and comedic way. This is something that’s definitely not to be missed! And we’re not sorry about that pun.